Practical Prairie dresses? Yes ma’am! The women of the Wild West worked every day in a skirt and we believe you can too! Wanna play dress up? There’s something here for everyone. 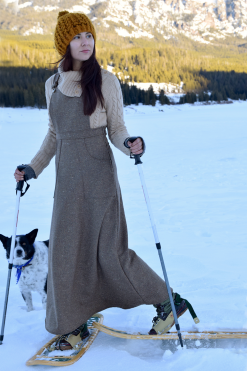 Made from sustainable materials in Montana and Oregon, these versatile dresses are from the heart of the American West.